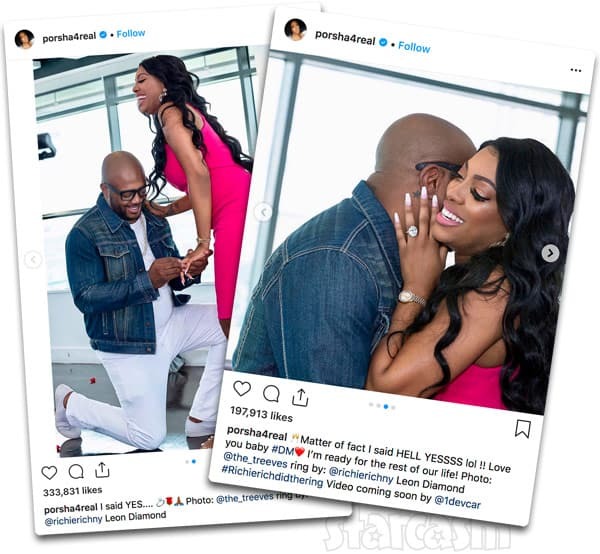 On the same day that Bravo released the new Real Housewives of Atlanta Season 11 preview trailer, pregnant star Porsha Williams officially confirmed she is engaged to fiance Dennis McKinley! 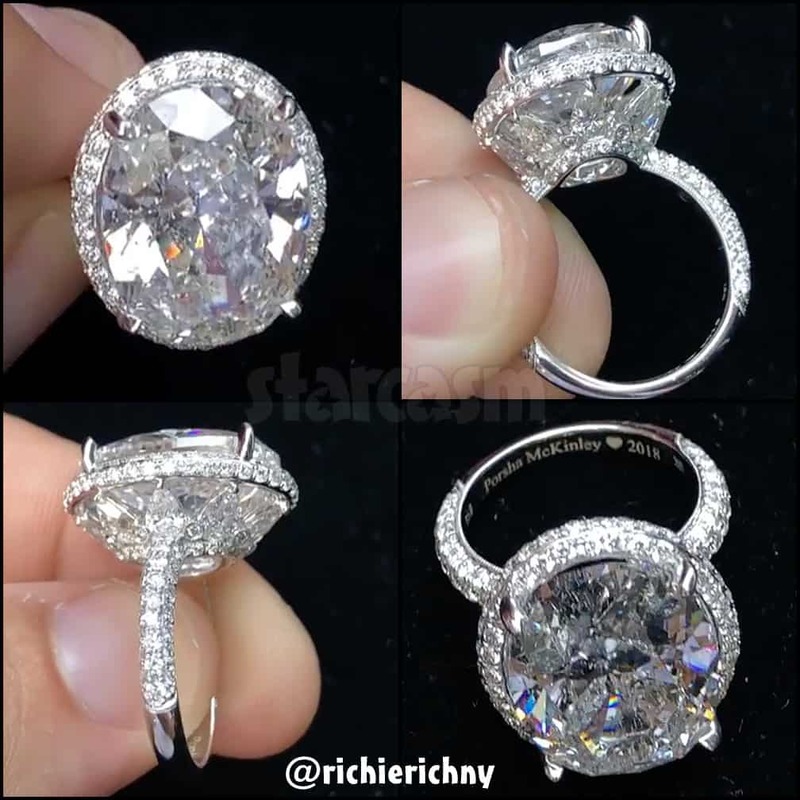 Porsha first teased the engagement on Sunday with an Instagram photo sporting a ton of ice on her ring finger. “Feed off of good energy or bad energy will feed on you!” she captioned the image, signing off with “- PW ?” A few hours later, Porsha posted another photo of herself wearing the ring a few hours later with a group of friends, but still made no mention of the engagement. “I said YES….” Porsha captioned the two photos above, including one of Dennis on his knee. Porsha added the ???? emoji, along with a photo credit for Tonya Reeves and a jeweler credit to Richie Rich. 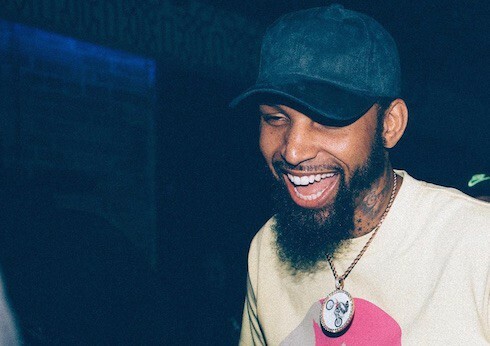 Porsha’s rep spoke with People and revealed that Dennis planned his proposal for two months. Also there? Singer Lil’ Mo, who serenaded Porsha with her favorite song, “4 Ever,” before the couple threw a prayer party for their baby. So @misslaurenw texted me and said I gave @porsha4real sister @lodwill your info they gonna call u for some work! I was like oh ok cool (thinking prob don’t get the call and then before I hung up) my new friend @lodwill text me and DM me I’m look oh oooookkkkkk. She said I need you to shoot this weekend I was like SHOWtime… I put together my crew and this is the magic that was created @the_treeves sssmmmaaassshheeeddd this photo. Super thankful for both Lauren’s and my new big sis Porsha. Congratulations y’all! Ive been so blessed to have a best friend in my sister and recently I’ve developed a friendship with Dennis as well. Thank you so much for making her smile and dealing with our crazy. I think you might just be crazy enough to fit in to our family ? I love seeing you guys happy and I’m so excited to witness your future together. PS thank you in advance for all of my nieces and nephews?????????? Congratulations to Porsha and Dennis! 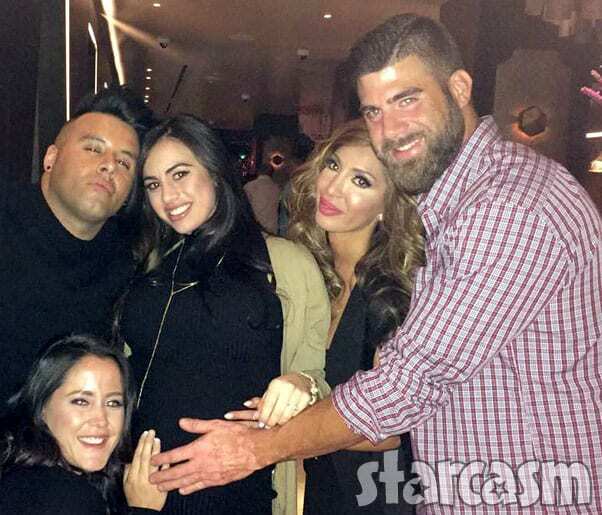 Breaking Amish’s Rebecca is pregnant again!